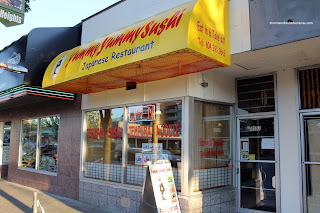 At one point, I tried calculating how long it would take to try all of the Japanese restaurants in the lower mainland. Assuming one would not eat Japanese food everyday (let's say once a week), it would take over 14 years since there are at least 700 of them. Strangely enough, most of them are not even Japanese-run. Does that matter? Well, it depends on who you ask. A sushi connoisseur might be very concerned if the sushi chef was not Japanese. To the rest, if the food is decent with good portions at low prices, that would probably be all that matters. Hey, if you don't believe me, look at places such as Samurai Sushi. They are doing killer b usiness doling out huge slices of sashimi and oversized maki rolls at a reasonable price. The place is Vietnamese-owned and operated. Does that matter? Once again - only to a small minority. So when we needed a quite bite to eat with Viv craving sushi, we headed over to a local spot nearby. Yummy Yummy Sushi was one of the last remaining Japanese restaurants I haven't tried in the area. 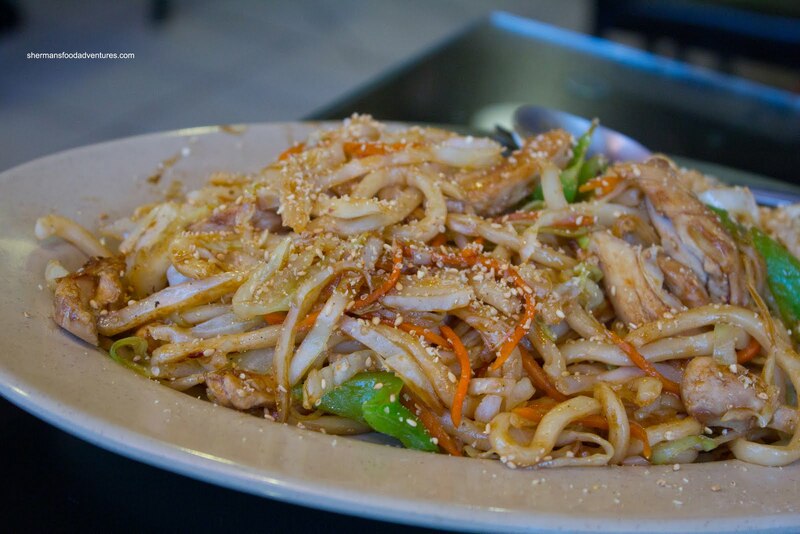 It is Vietnamese-owned and operated, for those who care. I really do not if the food is good. Besides, the family who run the place are extremely fri endly. However, friendly is one thing because a restaurant can't just run on smiles (well, I guess there are some of those I guess). As for the food, we started with the usual Salmon and Tuna Sashimi. It was nice to see slices of fresh-looking sockeye salmon along with large pieces of tuna. The texture and taste of the salmon was on par with its appearance. Same with the tuna except it was a little on the cold side being slightly frozen. 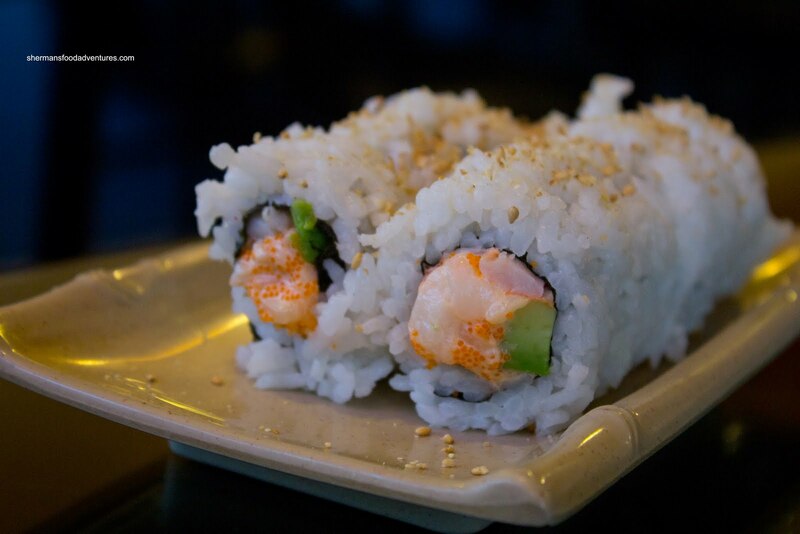 For our maki rolls, we got one order each of the Futomaki and Scallop & Ebi Roll. The futomaki was rolled relatively nicely packed with plenty of attractive ingredients. All of the usual items were there including imitation crab, cucumber, avocado, oshinko, sweet shiitake mushroom, tamago, beni shoga and pickles. We found the rice to be on the wetter side which made the roll a bit dense despite the modest amount. 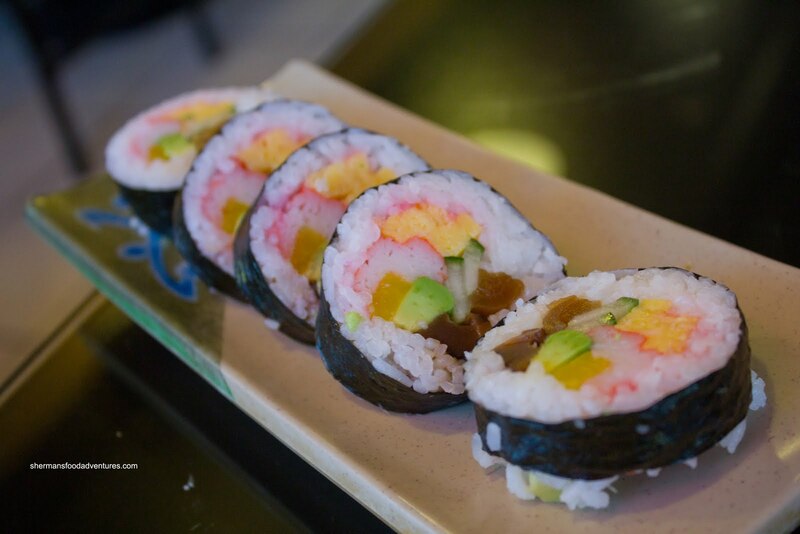 The scallop and ebi roll was quite good with again, a good amount of filling (scallop, ebi, tobiko and avocado. 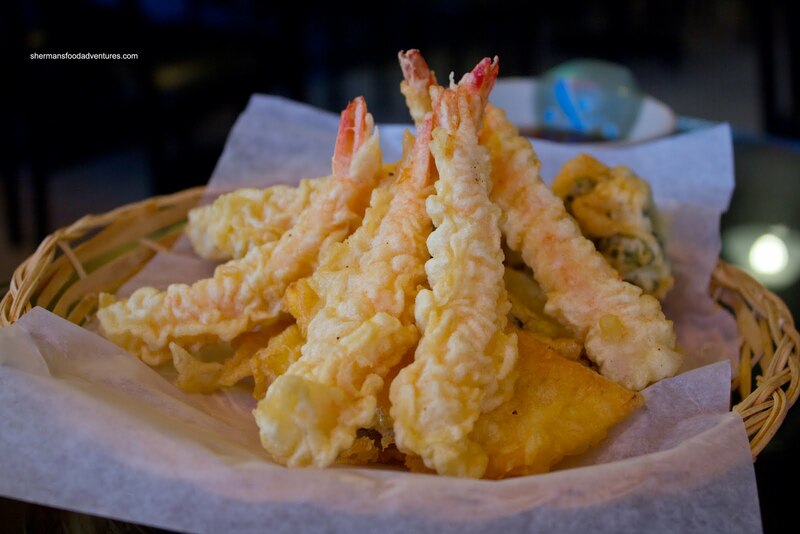 The Assorted Tempura was hit and miss all on one plate. The veggies were fried perfectly crisp with only a conservative coating of batter. However, the ebi were not very good. The batter was thick, dense and gummy. This was confusing to us since it was the same batter in the same batch of cooked food. The ebi itself was fine, the batter just destroyed it. The Oyako Don was another item we had mixed feelings about. The rice itself had the desired chewy texture while it was mostly penetrated by the mirin, soy and sugar mix. Moreover, there was plenty of chicken, mushrooms and egg on top. The real miss in this bowl of rice had to be the overly dry chicken breast slices. For me, it appeared that the chicken was overcooked rather than it merely being white meat. On the positive side, the bowl was quite substantial and there was a lot of chicken meat. With the dry chicken meat still fresh in my mind, I guess it wasn't a surprise to discover the same problem in the Yaki Udon. The chicken meat was equally dry and the noodles were on the softer side. The udon needed a bit more seasoning as it was quite mild tasting. Again, it was a fairly large portion though. At the end of the meal, it was pretty clear what was good and what was not. 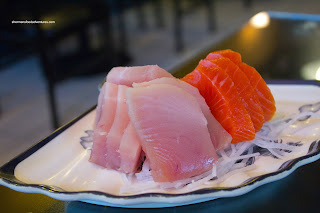 The sushi and sashimi were actually more than acceptable in terms of quality and price. The same could not be said about the cooked food. 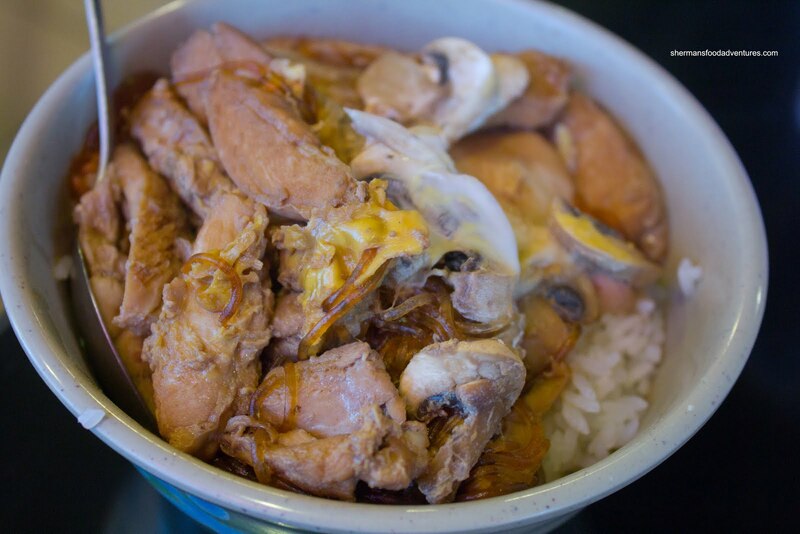 There certainly was value considering the amount of chicken in both the oyako don and yaki udon. However, portion size is one thing while execution is another. So my thoughts about Yummy Yummy Sushi are this: go for the raw stuff and you'll be satisfied. Just stay away from the cooked food. You've mentioned the concept of Japanese-owned and operated before... is there a list somewhere? I'm just curious considering my huge appetite for Japanese - having also considered a blog for just that cuisine. I figure I could get to all in Vancouver-proper in the two years, but then have a couple more years to get to the rest. they closed a couple weeks ago! the last few times i was in there, the guy mentioned how they had to let the waitress go because they couldn't afford to pay her and they were still struggling financially. 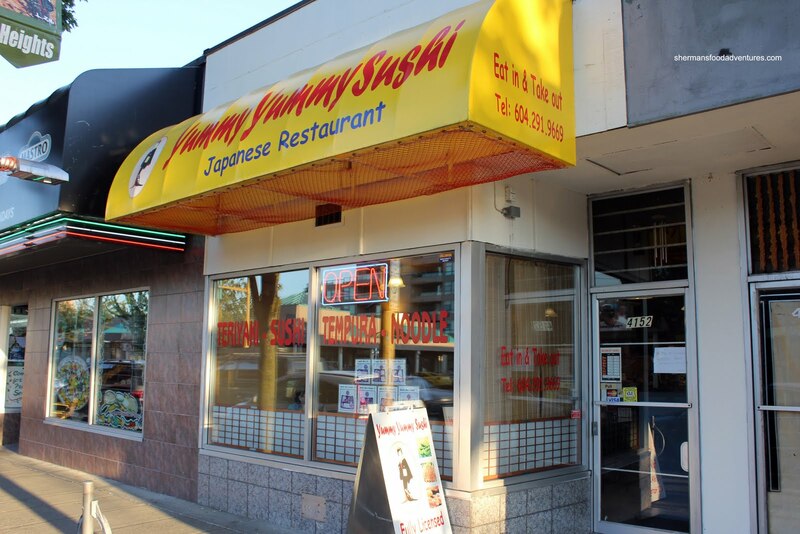 it's being reopened as another sushi place.